There is an extensive variation of exercises and sports today, each which can specifically focus on strengthening different groups of muscles in the body. The variety of workouts can be suitable for enhancing every individual’s fitness needs. Regardless of the fitness routine an individual chooses, injury prevention should be the most important part of anyone’s workout. 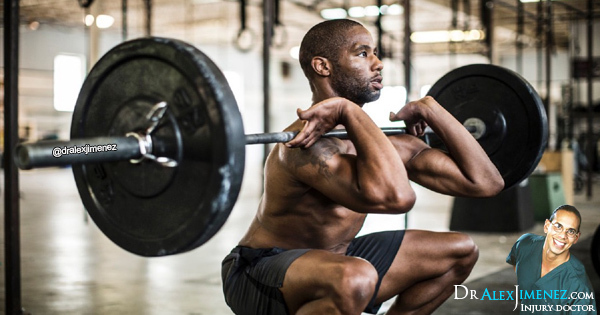 Weightlifting is a common type of sport or physical activity many individuals prefer for strengthening their upper body muscles but weightlifting also commonly results in injury. By following a few safety tips, you can prevent hurting yourself while weightlifting to continue training your body effectively. The most popular weight lifting routines today mainly focus on completing a workout within a limited amount of time. Using a fixed group of exercises, the point of this type of workout is to complete the routines as quickly as each person is individually able to. Focusing on speed during an exercise or physical activity can be a major factor for potential injury. Training the body properly isn’t about working out faster instead, training is about working out accordingly at the most appropriate tempo for each weight and lift. In doing so, an individual’s amount of weight they can effectively lift at a slower tempo could decline, but there are benefits to slowing down your training. Slowing down the tempo while weight lifting will help increase the amount of energy an individual has to finish a lift. Additionally, taking a sufficient amount of time for rest in between sets can help prepare an individual both mentally and physically for the next exercise. Then, when considering safety measures for injury prevention, an individual should note that their exercise routines for weight lifting should include lifts that strengthen and both the front and back sides of the body. For example, if an individual exercises their chest muscles, it’s crucial for them to lift to strengthen their back muscles as well to help prevent an injury. Balancing exercises for the entire body will help strengthen the various muscles of the body as well as avoid overusing and underusing other muscle groups and risk an injury. Most importantly, in order to avoid injury, an individual should never sacrifice form while lifting. Performing each lift with correct form is the best way to avoid an injury. Lifting weights that are heavier than an individual’s normal lifting weight, lifting the weights rapidly, or simply being unfamiliar with the proper way to lift, are all ways that compromise form and could cause an injury. Be sure to become familiar with the type of lift you will be performing and the muscle group that it targets. Also, be well informed about proper hand and foot placement, the position of the body, and avoid lifting a weight that alters the correct form. It’s often recommended to have a lifting partner that can help you notice an incorrect form and help avoid an accident in the gym.